Kanazawa is so prone to rain that there is an old proverb that says, “It's fine to forget your lunch, but don't forget your umbrella.” For those of us unaccustomed to frequent rain though, an umbrella is easy to forget, especially when we are traveling. 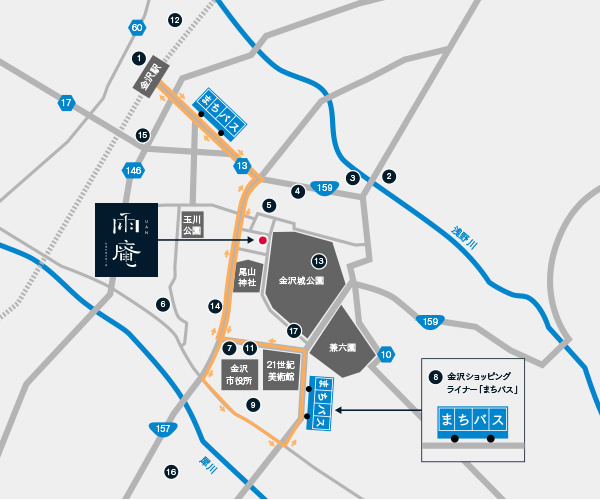 A reliable solution is Kanazawa's Umbrella Loan Project. Tourist information centers, participating stores, and Machi-bus vehicles keep a stock of umbrellas ready for anyone to borrow and return at any location. Here, let's look at several spots that are also perfect destinations for shopping and taking a break. 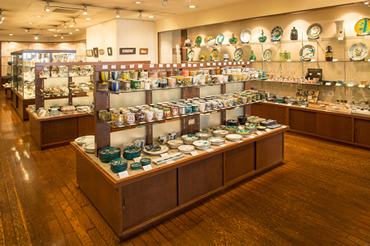 Moroeya, specializing in Kutani ware in the downtown area of Katamachi, was founded in 1862. 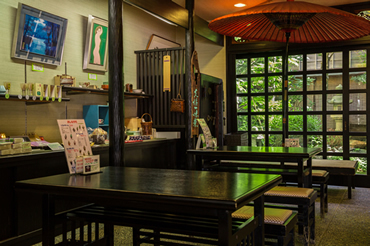 The first floor offers a broad range of Kutaniyaki dishes, decorative plates, and vases. 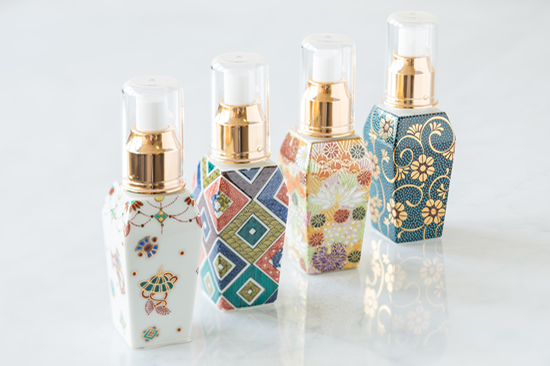 The basement carries other Japanese porcelain such as Arita ware, Seto ware, and Kiyomizu ware. And the second-floor gallery displays and sells the works of celebrated artists such as the late Tokuda Yasokichi III, designated a Living National Treasure. Nodaya is a prestigious merchant of tea, founded in 1859 in the height of Kanazawa's rich tea ceremony culture. The store's highlight is Kaga Bocha, or twig tea, also known affectionately as “Kanazawa tea.” And the in-store Japanese-style cafe also serves sweets like fragrant hojicha powder parfait and matcha-based affogato. 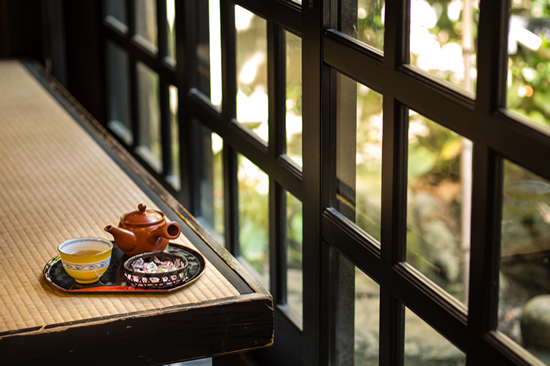 As long as you're borrowing an umbrella, why not take shelter from the rain over delicious Japanese tea and sweets? 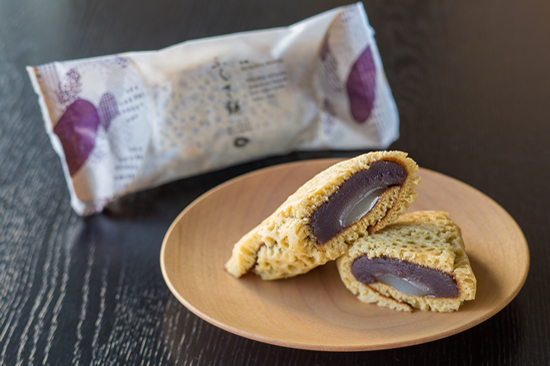 Wagashi Murakami is a prestigious retailer of Japanese confectionery, based in Kanazawa and with branches also in the Kanto and Kansai regions. 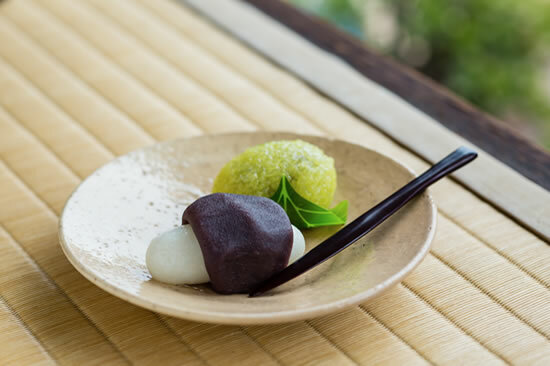 Situated near the Omicho-ichiba Market, the Jikkenmachi branch serves delectable sweets along with the view of the traditional storehouse, teahouse, and garden. 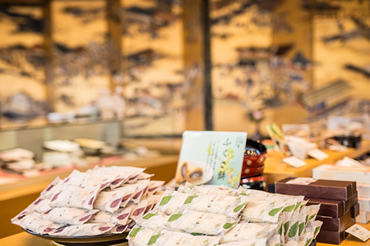 This is also an ideal place to pick up souvenirs, as Murakami's sweets look as exquisite as they taste. Hayashi, founded in 1917, stands at the entrance to the Chaya District of Kazuemachi. 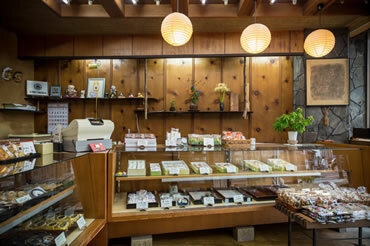 Each piece of wagashi confectionery is handmade and reasonably priced, so it's a good idea to try a few. The seasonal sweets are enormously popular with regulars, and offer tourists the chance to appreciate the beauty of the season through the palate.